Beyond providing data for all 32 NFL teams, PFF also supports network broadcasters with game-preview packets that are used to enhance the in-game experience for fans and viewers. 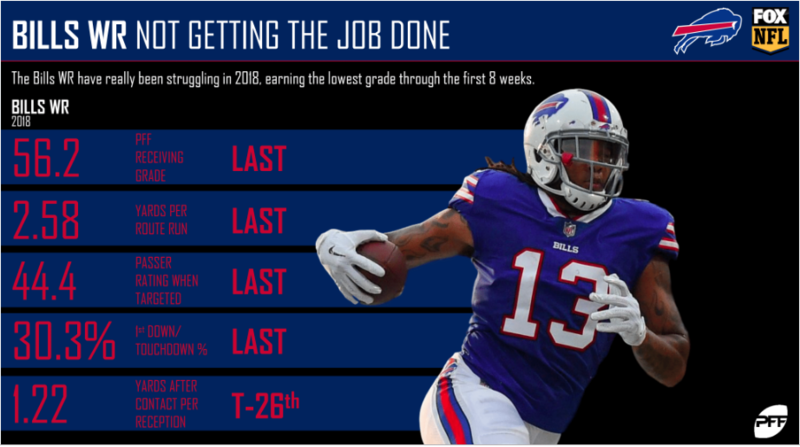 This Bears-Bills preview features the same information our broadcast partners use for team research and in-game production. 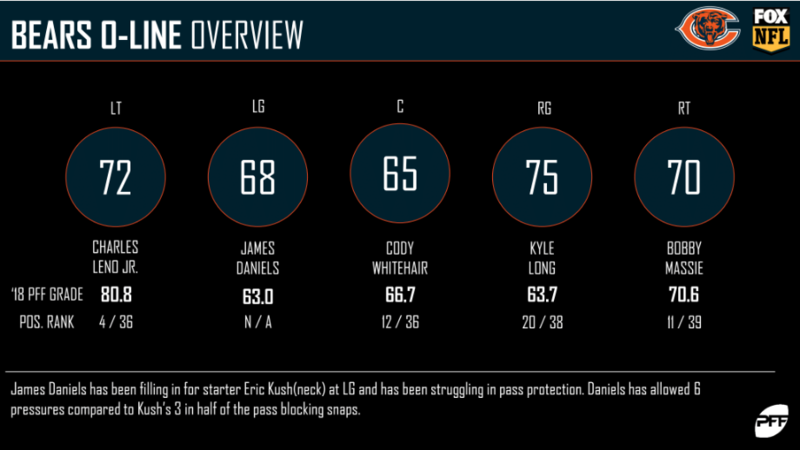 The Chicago offensive line has done a tremendous job keeping Mitchell Trubisky clean in the pocket, allowing pressure on just 27.2% of plays. 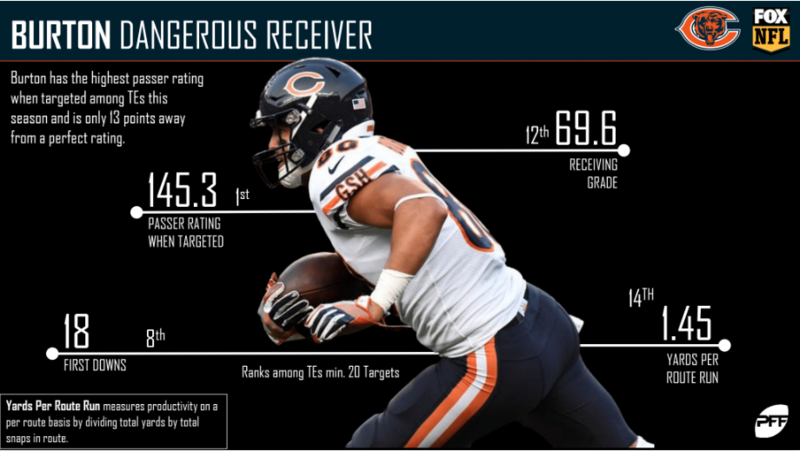 Trey Burton has found a new home in Chicago, where his passer rating when targeted of 145.3 ranks first among qualifying tight ends. 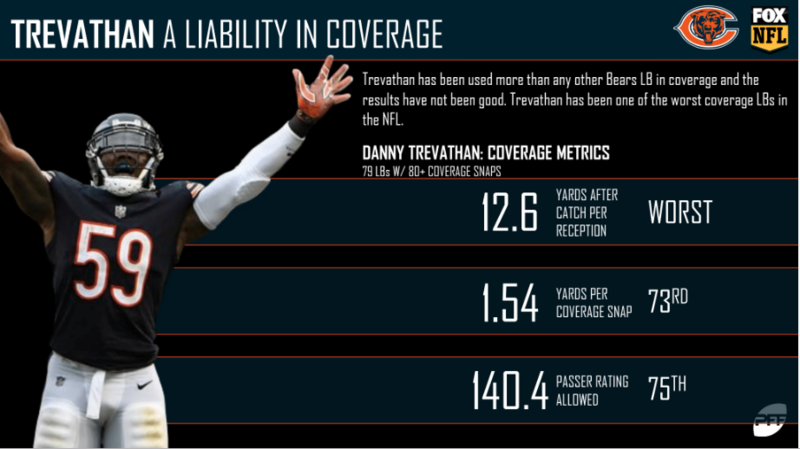 Danny Trevathan has been underwhelming in coverage, allowing 12.6 yards after catch per reception, the worst mark among linebackers. 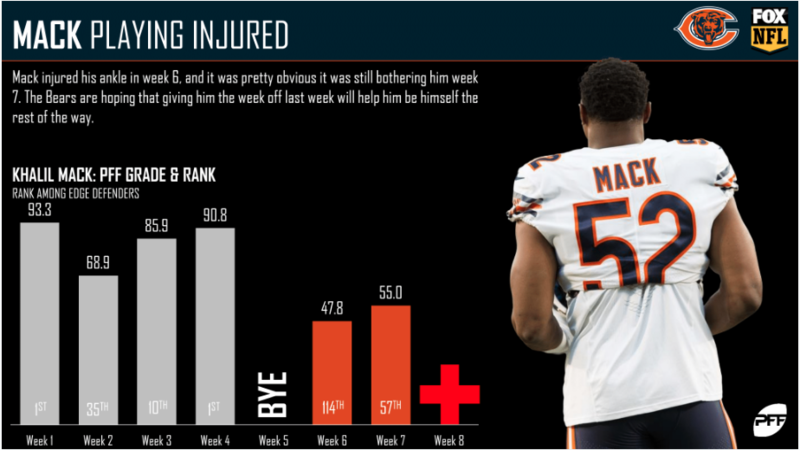 Khalil Mack started the season at an All-Pro pace, but he has cooled off significantly over the last few weeks. 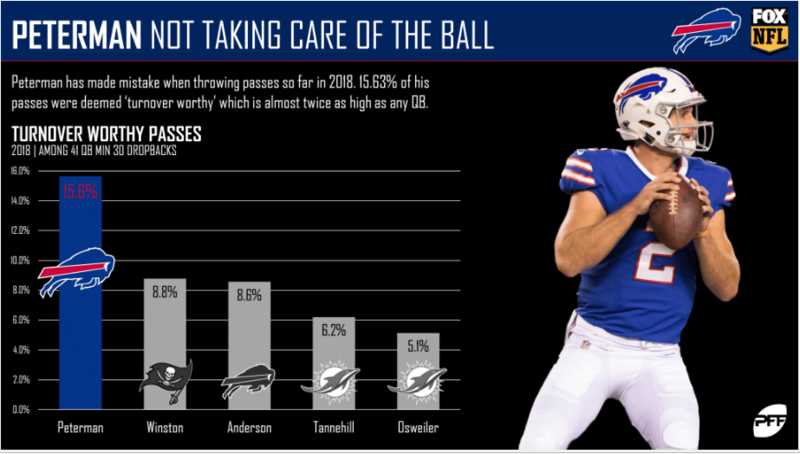 Nathan Peterman has been a huge liability for Buffalo so far this year, throwing a turnover-worthy pass on 15.63% of his attempts. 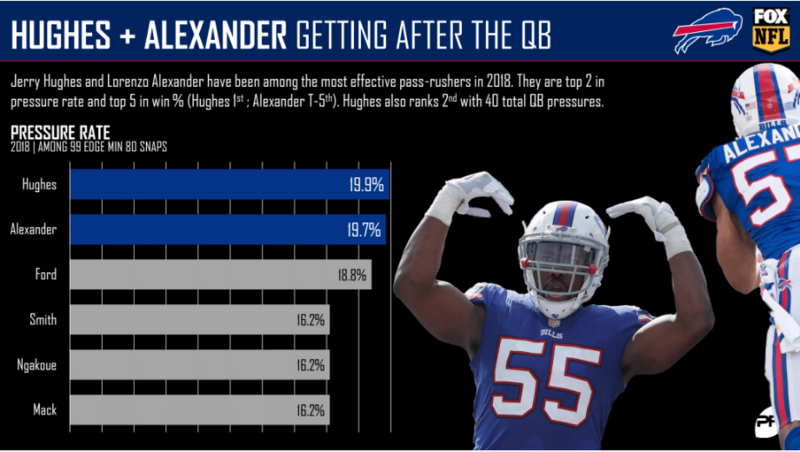 While Peterman has been bad, he certainly is not getting any help from his wide receivers. Mitchell Trubisky, who has struggled under pressure, could have his hands full this week against the dangerous combination of Jerry Hughes and Lorenzo Alexander. 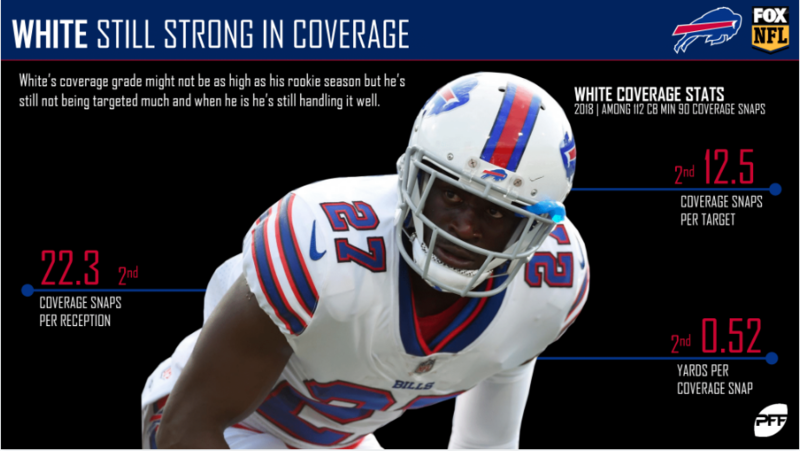 Tre’Davious White has continued to prove his worth so far in his second season. 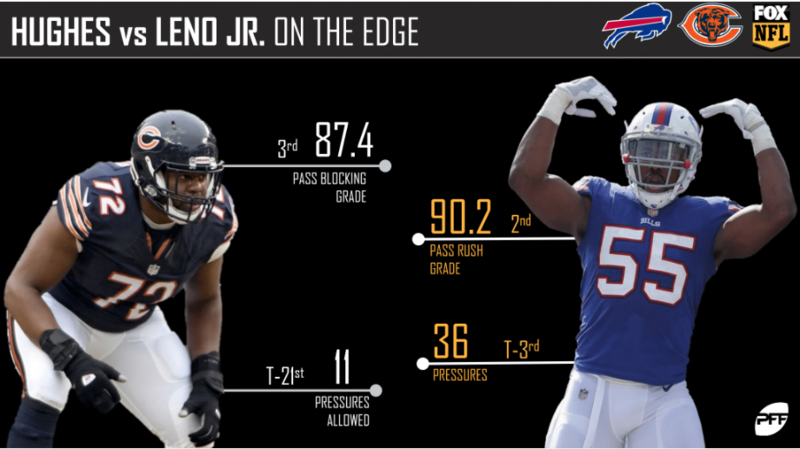 PFF Greenline has projections for the spread, moneyline and over/under of the Bears’ matchup with the Bills. Get its picks here.